Jessica was born in Alaska and grew up on the hillside overlooking Anchorage. From an early age she developed a passion for the great outdoors and all the wild creatures inhabiting it. Knowing her life had to revolve around wildlife, she earned her degree in Biology and set out to work on various wildlife research projects across the lower 48. Working seasonally has provided Jessica with opportunities to work in amazing places and develop a very interesting and unique resume. More recently, her summers are comprised of guiding out in Lake Clark National Park at Redoubt Mountain Lodge. She got her start on the runners in Bettles, Alaska in 2017 and decided one winter was not enough. She wished to fully submerge herself in the mushing world by working for a racing kennel and try a few races herself. 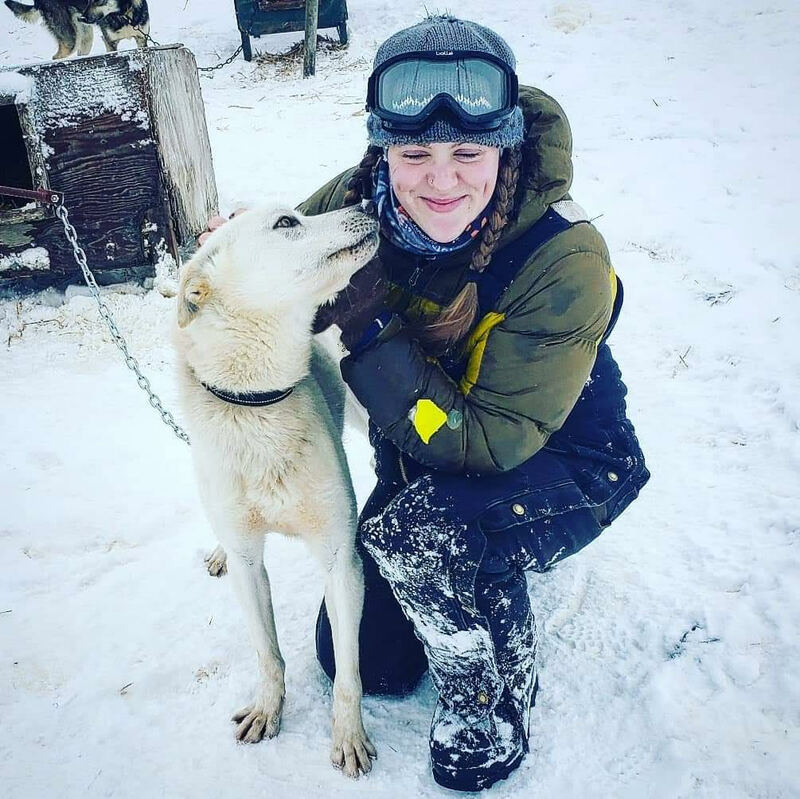 This winter she completed the Taapqak 120 and is now looking forward to the adventure the Kobuk 440 will surely have to offer! She would like to thank Team Baker Kennel for allowing her this opportunity to train and run with an amazing group of dogs, as well as all of her supportive friends and family! Thank you very MUSH!